Anyone looking for something special? I'm liquidating over 100 bikes. Discussion in 'Bikes for Sale' started by boccarp, Dec 27, 2017. Yes it's for real, a good many of them have been sold and you'd be surprised at just how affordable pete has been making them. If you can work out a 30 year payment plan Im in. I would love to own a NSR500V but that is way to much bike for me and a dream. Honestly I have dreamed of owning a RS250 or NSR 250, but that is probably also not a affordable dream. It looks like he’s been banned! Any 1k race bikes left? Guys, he hasn't visited here for 3 weeks... may be best to try and contact him thru his site. I'm back from ban. I posted a video in the general section. I had no idea that was a sin. There's still a bunch of bikes available for sale. Plus I've gotten some new exoitcs (Moto 2, Moto GP, Moto America and World Superbike) that are coming up for sale. Let me know if you need something. Wow...you guys sure you ride race bikes? Everyone is snapping up the dirt bikes! YZ490....SOLD! Going to Germany. 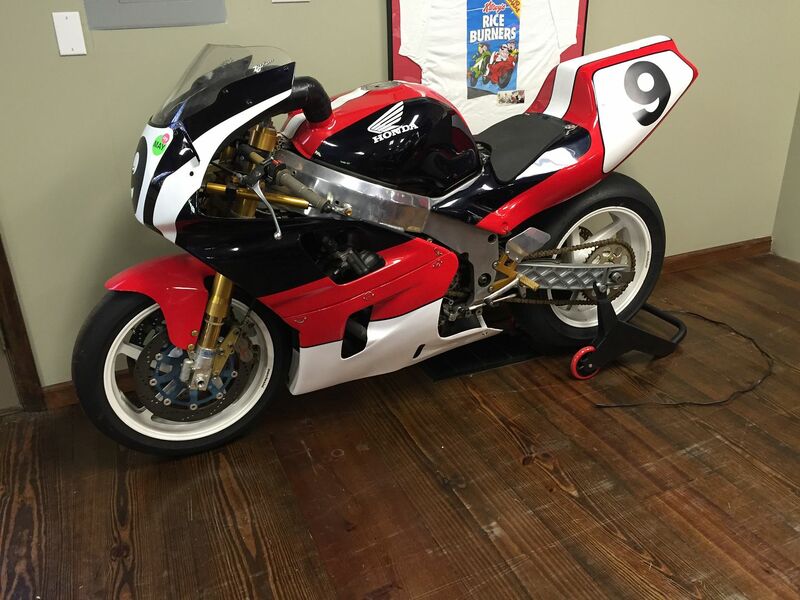 Looking for an air cooled ducati race bike 100DS etc. Anything? What Moto2 bikes do you have? PM me. Your FX CBR6RR looks cool! racerx43, Triple X and sbk25 like this. Do you take child labor as payment? What does a moto3 bike go for? Do you have any sv650s or fz07r track bikes? Curious, have any sub 5k cool projects or PARTS ? For let's say any of these..my decade old projects?? 1.) 96 Suzuki SRAD cool (parts or a (Yoshimura high mount race exhuast.)!!!! I can't find one anywhere. 2.) 86 VFR 750.. Rear FOX shock, 17"wheel conversions or Left side 4-1 exhuast? 3.) Any cool RZ350 parts? (Very interested)..lol that's my baby. 4.) Any RD400 projects ? Any parts,bikes or leads on info greatly appreciated!! !